Flexible tuition payment options include: pay in full during registration, or convenient payment plans that include 2, 4 or 10 payments plans. New students welcome! Please come introduce yourself! We would be honored to meet your family, give a tour of the school, and introduce you to our staff members! All families enrolling for 2018-2019 please attend our enrollment registration open house! Please bring emergency contact information and updated immunization records to insure a smooth enrollment process. Trinity offers two programs to assist with the cost of tuition. The first is Scrip, a program allowing families to purchase gift cards to be used when making every day purchases at local businesses. A portion of the purchase amount can be put towards a students tuition costs. Click here for more details! The second is a Tuition Assistance Program funded through private donations given to the "Secret Angel Fund" at Trinity Lutheran Church and School. Families need to apply for tuition assistance before registration each year to see if they qualify for this assistance. 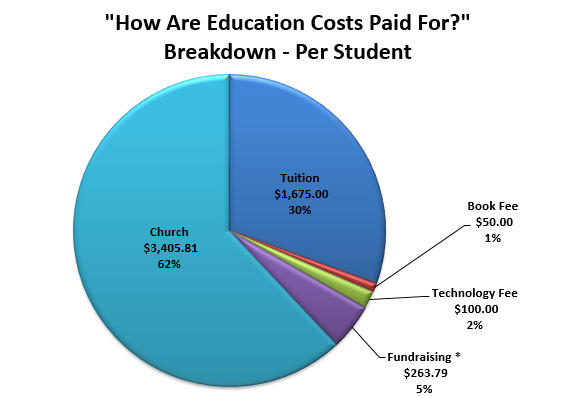 What is the cost of Christian Education at Trinity? 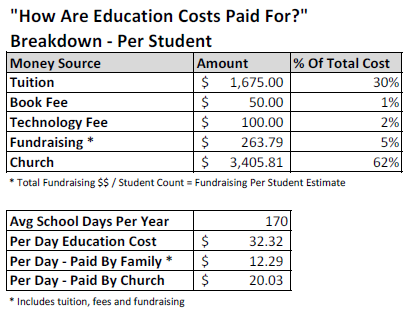 The cost to educate a full time student at Trinity Lutheran School is ~$5,600 per student per year. Trinity Lutheran Church makes Christian Education part of their core ministry and mission efforts. Because of this incredible support, students can attend at a more affordable rate. ​Support provided by Trinity Lutheran Church pays for approximately 62% of the students total education cost each year!